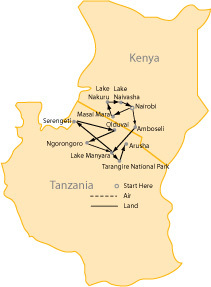 This itinerary captures the spirit of safari with diverse scenery and experiences, from the unique wildlife in the north to the world famous Masai Mara in the south. Travel in comfortable 4WD vehicles and stay in a mixture of well established hotels, lodges and a tented camp. 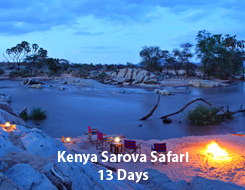 Upon arrival into Nairobi, clients will be met and transferred to The Sarova Stanley Hotel. Afternoon at leisure..